We’ve received an email from Anne Kelly letting us know about her Travel Tags project, which was in London, England. If you are interested in participating the Canadian show, have a look at Anne’s blog for the details. If you include your address, tags will be returned to you once the show is over. 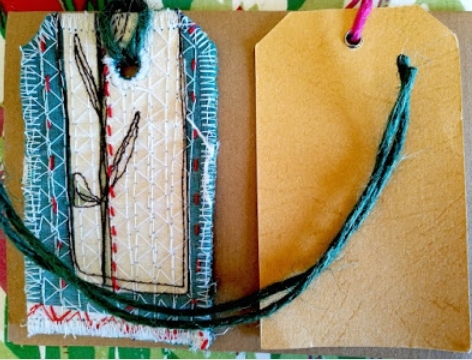 You may still have the tag you made at Guild last year and it may match Anne’s template (10 cm x 6 cm). It’s a small project with lots of potential for fun!